I have a copy of an email that was sent into all the Hampton Roads City Councils by someone I work with. This person is interested in hearing others thought on this particular position. The email is from a 26 year old male, I thought it was important to let you know the perspective he is speaking from. All feedback is welcome good or bad, I want to report what others in the area are thinking. Please see below... Thanks for your time. have a vision and we have a detailed plan to create more opportunities. I like the idea and often thought that the name "Seven Cities" was far more catching and representative of our area than HR. I don't know if I like "Seven City" though. I think it's important to keep the plural form of the nickname. It's more descriptive of the character of our region. We definately need to have something that provides our region a bit more connection. The only problem I can see is that there are actually more than 7 cities in the Hampton Roads MSA, the nickname is just for the core cities of Virginia Beach, Hampton, Newport News, Norfolk, Chesapeake, Suffolk, and Portsmouth. Cities like Wiiliamsburg/Poqouson et al may feel shunned. I do want to take a moment to clear that up. The slang was created as "Seven City" and then morphed into correct grammar... with the youth, they actually use the term Seven City. My nephew explained that while the word represents the number.. it also simply represents a name or the name. The reason the slang was created was to unify the main cities as one and to not show any division. The term Seven Cities still promotes that division amongst the area. I know many disagree, but we need 1 city for those outside the area to know us by. I've always thought it was "seven cities"... I'm a 'youth', and have never referred to the area as "seven city". They're thinking of renaming Norfolk International Airport to something a little more inclusive, so whatever they name it will likely become what we are known as. There isn't anything wrong with Seven City, thats if it would be called a city which it's name is Seven. I have always thought that since Virginia is known as the Old Dominion, then all the cites and counties that wish to merge become: DOMINION CITY. It's enclusive without specifing a certain number on locales! One city, with each former city or county becoming a bourogh. Since I live in NoVA, I read the Washington Post everyday, and I'm happy to say that they refer to Hampton Roads as 'Hampton Roads'. I think the adult population here in the DC area at least vaguely understands what Hampton Roads is. You can check it out in their article on the recent legislature. For me the term "Hampton Roads" is a lot better than when we were referred to as Tidewater. To me Tidewater conjured up visions of some redneck town on the edge of a swamp with large mosquitoes and guys with overalls on and no undershirts....maybe that's just me. But Hampton Roads serves as an effective title to the area, especially to the corporate type. And the name 7 cities is usually reserved for the younger, more "in" crowd (see avy) . Both I think are effective for their respective demographics so I can't really complain. I'm with you on that. Tidewater is too provincial or rural sounding. It also makes me think of some bubbly, dirty stuff in a washing machine. Hampton Roads is the central, defining feature of the region. When I'm talking to people here in Jersey, the only label that is effective is the Norfolk-Virginia Beach area. Odds are someone will know where at least one of those two cities is located. The idea of Tidewater, Hampton Roads, 7 cities, etc. still doesn't have much recognition outside eastern Virginia. When I work with people from out of the state (and even NOVA) they have blank looks when I talk about "Hampton Roads". A lot still have blank looks when I say "Norfolk" so I find it easier defaulting to "Virginia Beach" and most people have heard of that. 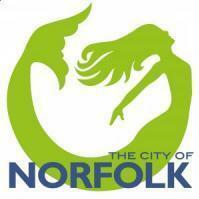 Unfortunately, Norfolk was so dead for so long that it kind of lost its way. Although I am not the biggest fan of VB, it is the largest city and now that it has a downtown, it has the tallest building in the state as well. Hampton Roads will always be around but Metro VB may come into play more and more... especially since the census has bumped it into the leading city for the region. actually you can thank marketing for VB's recognition. When I moved way back at the end of 2001, I remember watching tv in Spokane and seeing a commercial for vacationing in Virginia Beach. More people know about Virginia Beach outside of Hampton Roads because of this marketing. Again why i stress for Norfolk not to under estimate the power of Virginia Beach. When they made their advertisements, they could of easily included Hampton Roads into them, but opted against that. VB is out to make themselves into the core of the region and at the current rate are succeeding at it. Plus the BEACH part allows people to imagine the area being along the coastline.